I love to mix my metals and decided to weave some .925 sterling silver into viking knit. I gave the sterling viking knit an oxidized patina. 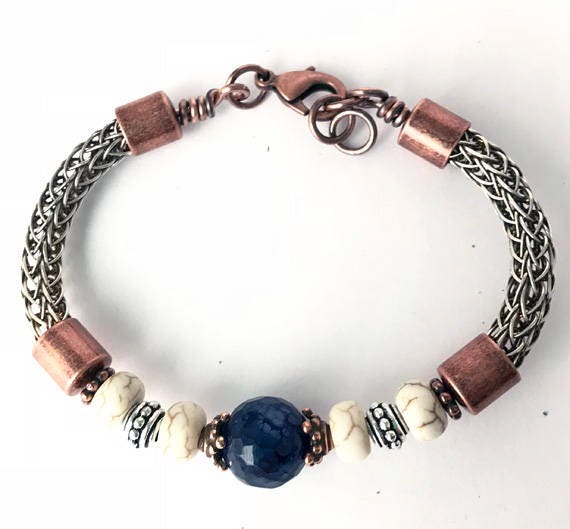 I added copper end caps with a mix of copper and silver beads along with lapis and magnesite. 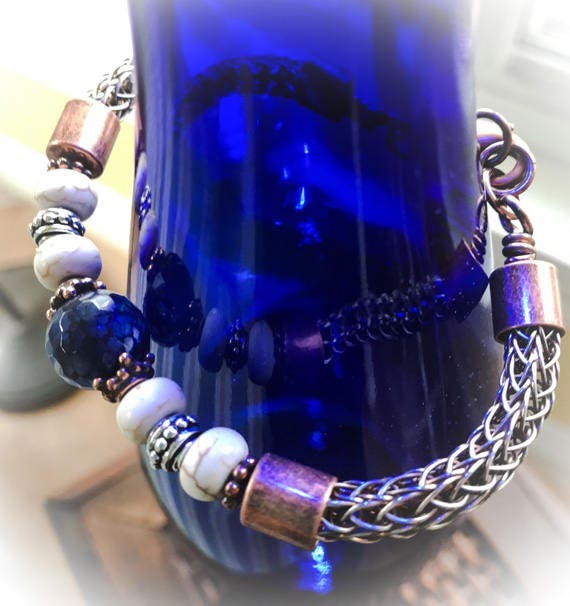 This bracelet is adjustable from 7 inches to 7 1/2 inches. 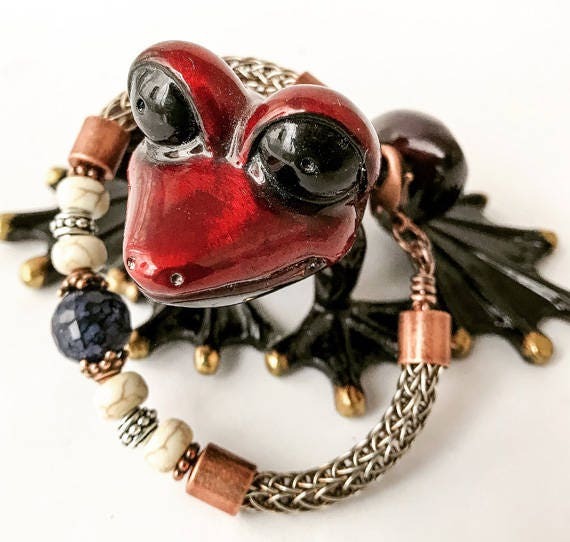 It has a copper clasp.